The same xp type skin with a different colour. 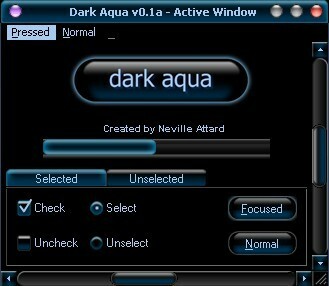 *UPDATED* Colours of MAC OS X aqua, here's a dark version of aqua. if u don't like the bright. 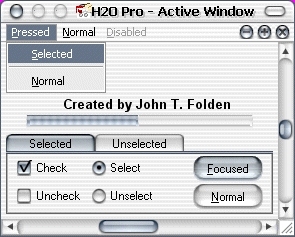 Send any comments/bugs to xenonii@hotmail.com. XP style will be available soon. *UPDATED* Aqua graphite style theme, quite a few tweaks. 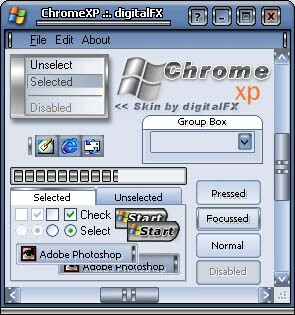 Does NOT yet include XP support.